Hey lets talk about auto parts for a minute. Where is the best place to buy auto parts. If you work on your own cars like I do, you want to make sure you put in quality parts at the best price. I’m going to share what I found. There are 5 basic sources I use, NAPA, Autozone, Advance Auto, Rock Auto and Amazon. These are listed in the order I have shopped with them. Things have changed, and I will get into those changes in greater detail. I don’t want to put one supplier over another, and there are other suppliers such as O’Reilly Auto Parts, and a number of other auto parts stores, many of them independent. I’m sure most of you have your favorite auto parts store, and you are loyal to them. That’s okay. That’s the way I am. I used to own an auto body shop and I dwelt with independent shops. Wisconsin Auto and Lohman Color were the best places to deal with. The people in those store were experts. They worked at those places for a long time, and always knew the answers, and were able to find what I was looking for. That was back in the days with no computers. Those people were good. Things have changed, and I will point out some of those changes later. The fact is, you need parts, and where to go to get the best part is an issue. I am going to list these companies in alphabetical order. So the order you see them is not an indication of how good or poor they are. Each has good and some have bad points. Advance Auto sells car parts and tools. The local Advance Auto has some people that have been there a long time, and that is important. They know the terminology, and how to find the part you need on their computer. As with all auto parts stores, there are a number of choices with each part. Some parts such as brake pads have different features, and different prices. The people at the local Advance Auto know the choices and are able to make the right recommendation. I like that. One thing about Advance Auto I have to mention. They have one of the best websites and apps to work with. One reason Advance Auto is on my top choice at the moment is their phone app. They offer BIG discounts. I know people with business accounts at Advance Auto, and they get better deals and discounts using the app. Now don’t you think that is worth looking into? Auto parts stores are competing for your business. Download the Advance Auto app and let them prove it. I order parts on line from Advance Auto and pick them up at the store. I get some huge discounts. And if the sales person at the store tells me why I should upgrade, or take a step down, I still get a discount at the store. What more can you ask for? Yes Amazon does offer car parts. The only problem is, you can’t really be sure where they come from. You can talk yourself into thinking, “all parts come from China these days.” That is true to an extend, but it is quite an exaggeration. There are of course companies offering American parts on Amazon, and a variety of good auto parts and tools. The things that push Amazon into my short list of auto parts stores is their rating system, the reviews, and free shipping. Amazon has been posing such a threat to the other auto parts supply companies that almost every one offers some form of free shipping. Usually on orders over $25. Think about this for a moment. As long as Amazon is in business, the others are pushing to keep prices low. On the other hand, Amazon does not provide any instant support, or advice. They do have a way of registering your car, and the computer checks the fit for you. But computers are only as accurate as the person inputting the information. And do you really think the computer guy is an avid car guy? Amazon may not be the go to auto parts store for me, but tools are a different subject. We all need tools. And just about every job these days requires a specialty tool or two. I have another page here on hand tools you can look at and get an idea of my thoughts and recommendations on hand tools. There is another thing to consider with Amazon. What about those warranties? Are they good at a company in another state, or overseas? Then there is the old, order a part only to find out the part is being shipped from China. Wait about a month for the part to arrive. I have worked with some Chinese companies. Most do have US based offices and some have US based supply houses for auto parts and tools. That makes shipping much quicker. But you can’t be sure of the shipping origin until after you place an order. In most cases I have found that Chinese and overseas companies do ship the next day. But we have that long wait for parts to make it to the mail box. Is it worth the money? Auto Zone used to be my favorite auto parts store, but now Advance Auto is much closer. I still use Auto Zone because I purchased a number of parts with their life time warranty. How can you go wrong? If you are like me, you drive your car and rebuild it until it dies, those life time warranties are worth it. Of course you are not getting the cheapest part, but a the most reliable part. Doing your own work on your car doesn’t mean you want to work on it every weekend. Those life time warranties set Auto Zone on top. Other stores now offer similar warranties. When choosing the right part at the right price, look at the range of warranties. Auto Zone also has a fine website, and phone app. Auto Zone also offers a series of discounts and special sales on their phone app. Use it and you will find yourself saving money on the best parts for your car. Auto Zone has some good sales people behind the desk. Most of them know cars and the parts that go in them. But I would rate them a notch below Advance Auto. I grew up with NAPA. They always seemed to have knowledgeable people behind the counter who knew little tricks to change parts on cars. I don’t think that has changed. Another feature NAPA has that sets them in the top group of auto parts suppliers is their selection of parts and specialty tools. If you can’t find it at NAPA, you can’t find it anywhere. 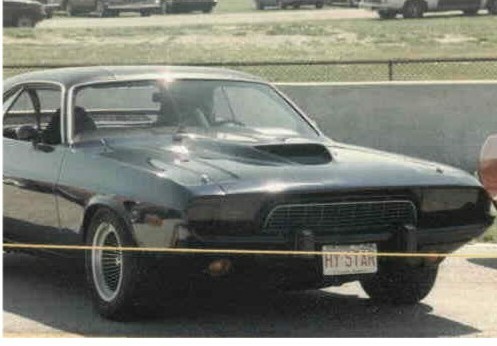 I do drive older cars, and not everyone stocks every part for them. But NAPA has a way of finding rare parts. If you get stumped on a part you can’t find, call your local NAPA store to see if they can help. I have not looked into any NAPA app. If you used the NAPA app, leave a comment and share your experience with the world. This website gets viewers from all over the world. Rock Auto may be the lowest priced auto parts store I have found. I check out prices at Rock Auto and find huge savings. The only thing is, Rock Auto charges shipping, which can quickly cancel out any savings. Their website is far above any auto supply website. But the format has been copied by others. Just go down a list on the side bar and choose your car’s make, year, model, engine size, so on and so forth. Then click on the parts group, and then the actual part. A pop up comes up with a selection of parts. Scroll down. There is an economy list of parts, a group of every day driver parts, and all the way up to performance parts. You can find some really good buys on Rock Auto. That shipping can kill you though. Rock Auto is great for those maintenance items, and things you can stock up on. Look for their sales. You can have Rock Auto specials and sales emailed to yourself. And Rock Auto doesn’t send out spam email everyday like some companies do. 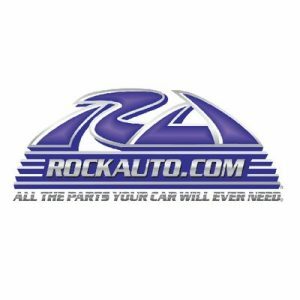 The only problem with Rock Auto is, they think their website is so great, they have no support. Order the wrong part and you get a run around like no one’s business. Call for help, and you get sent back to the Internet site. I ordered a number of parts from Rock Auto for a project. One part came in wrong. It was not the part for the car. I looked at the part number and guess what. Two digits were in reverse order. It took me two days of calling on the phone and trying to find an email address to get in contact with someone to resolve the problem. Here is a little trick for Rock Auto. The only way to get in touch with someone if you need support is to send an email to the return address on the email confirming your order and shipping. Someone at Rock Auto, actually their supplier, sent the wrong part. Plain and simple solution. Take the part back and send me the right part. But neither Rock Auto nor their supplier would bat an eye to admit they made a mistake and make good on the mistake. The problem was, it cost $150 to ship the part. Neither one was going to eat that mess. Not even to save their reputation. It took weeks before Rock Auto sent me an email telling me to put the part in the original box, with original Rock Auto packing tape, and call the trucking company for a pick up. They would take the part back, inspect it, and then determine if I was eligible for a refund. Refund the price of the part! What about the shipping? I was out at least $150. I demanded that Rock Auto take the part back and send out the right part. Rock Auto told me to send the wrong part back, and reorder the right part. I looked at their website, and the part I ordered doubled in price. Not only doubled in price, but I would have to shell out another $150 in shipping costs. Needless to say, I was not impressed with the Rock Auto process of handling mistakes. I ordered a part for a Dodge from their drop down computer system, and they sent me a GM part that ain’t gonna fit. I hate it when people think they can increase profits with computer systems and slice out the most important features of a business like customer support. There are a number of other great auto part companies I had the pleasure of dealing with. I prefer to stick to a company that provides exceptional service. 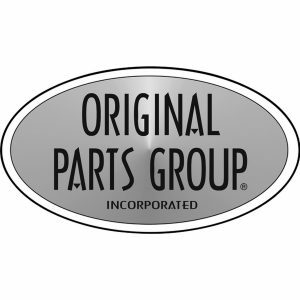 Original Parts Group is one of them. They have great phone support, and can easily find your order by name. Every time I call, I feel like I am chatting with an old friend, and they always come up with the answers in less than 10 seconds. That is the proper use of computers, to enhance customer service and support. If you buy car paint, TCP Global is a great store who actually ships paints. Their prices are good, and they have excellent phone support from people who use their products. 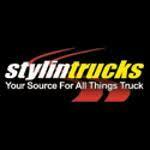 Stylin Trucks is another web based auto parts store with great support. Have any doubts, call Stylin Trucks and they know how to ask the right questions to ensure you get the right parts. You may be asking why a Real Estate Agent is writing stories about tools and car parts. Simple. I produce and maintain my own website. I work on my own cars, and fix just about everything on my house. I look into issues, and find answers. Look on the Internet these days and you can find a video on how to fix or make just about everything. I am more of a blue jean Real Estate Agent. Why is that important? After closing way over 100 sales in Real Estate, I have seen my share of unexpected issues pop up. One of the most irritating things that seems to reoccur is that one little issue that takes 5 minutes to fix, but can hold up a closing on a house for days, and require more paperwork than it is worth. I’ve seen so many little things pop up like a leaky faucet, a dripping faucet, a minor electrical problem, and a list of other issues. They may take 10 minutes to fix, but let’s face it, most of the people involved in closing the deal on a home don’t work on their own homes. I’ve left closings, got in my car, fixed the issue, and sent back pictures, or videos to show the drain is unclogged, the drip fixed, or whatever the problem was, has been resolved. I guess it’s not a big mystery how people chose a Real Estate Agent these days. They click on the picture that appeals to their taste. A guy wearing a suit and tie, or a woman in a business suit or dress. If a problem comes up, what are they going to do? Crawl under a cabinet to fix the problem? In most cases they will produce more paperwork that requires other people to produce more paperwork, that causes more delays, and cost someone a great deal of money. That is the way of doing business in this day and age. 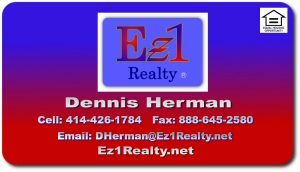 What do you want in a Real Estate Agent? An agent who wants to look smart and impress you with paperwork, or an Agent in blue jeans who gets the job done? Better yet, an Agent who can identify a number of potential issues, and you can fix them yourself before the closing date. There are other things like gardening, changing door knobs after the purcahse, and helping people when problems rear their ugly head after the sale is complete. When you do your own work around the house, you have a valuable service to offer. A service that sets me apart in this business. As you can see, I admire great service. And I offer service above and beyond what people often expect. That leaves a great impression. It also saves me a ton of money. I don’t have to pay agencies a boat load of money to plaster my picture all over the Internet so people can click on the face they think they can depend on. Of course Advance Auto, Auto Zone, Amazon, NAPA, Rock Auto, Stylin Trucks, TPC Global, Original Parts Group, and other names mention here are registered trade names. Their images are have copy rights. If any of them have an issue with this, or any of the other posts I’ve written, contact me on the from the DCMA Notice page.